I specifically asked financial journalist Max Keiser, who for years had worked on Wall Street as a stock and options trader, about the put option trades. 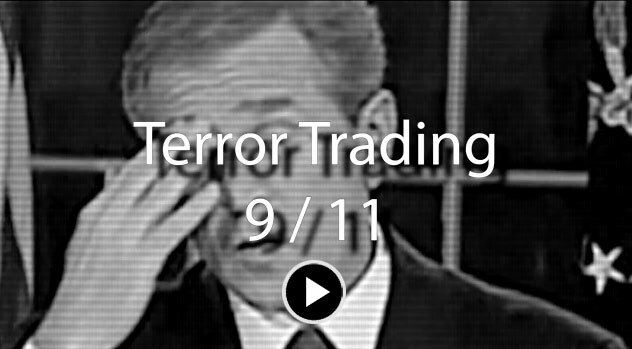 Keiser pointed out in this context that he « had spoken with many brokers in the towers of the World Trade Center around that time. I heard firsthand about the airline put trade from brokers at Cantor Fitzgerald days before. » He then talked with me about an explosive issue, on which Ruppert elaborated in detail in Crossing the Rubicon. Between September 6 and 7, the CBOE saw purchases of 4,744 put options on United Airlines, but only 396 call options. Assuming that 4,000 of the options were bought by people with advance knowledge of the imminent attacks, these « insiders » would have profited by almost $5 million. On September 10, 4,516 put options on American Airlines were bought on the Chicago exchange, compared to only 748 calls. Again, there was no news at that point to justify this imbalance; again, assuming that 4,000 of these options trades represent « insiders », they would represent a gain of about $4 million. 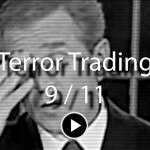 Merrill Lynch & Co, with headquarters near the Twin Towers, saw 12,215 October $45 put options bought in the four trading days before the attacks; the previous average volume in those shares had been 252 contracts per day (a 1200% increase). When trading resumed, Merrill’s shares fell from $46.88 to $41.50; assuming that 11,000 option contracts were bought by « insiders », their profit would have been about $5.5 million.